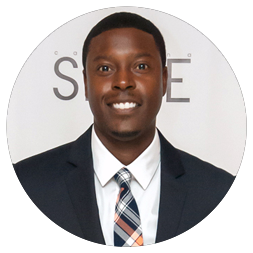 With 20 years of experience working with non-profit organizations and small businesses, Dr. Keith Cradle is driven to help others succeed in their passions as well as to strive for growth. He knows how to make the right company goals by developing new ways of doing it. Dr. Cradle is currently on the Board of Directors for Carolina Voices, The Bechtler Museum, Inspire the Fire, NOVO Community Foundation and the Juvenile Crime Prevention Council for Mecklenburg County. He has previously served on the Knight Foundation CLT Advisory Board, the Board of Directors for Hands on Charlotte and the Ada Jenkins Center. His community based initiatives have been awarded the 2001 NACO award for outstanding program of the year in the state of North Carolina, the Golden Project Award 2004 from the North Carolina Public Health Association, the Kathy Kerr Outstanding Health Education Project Award 2004, 2006 APPCNC Award for pregnancy prevention program of the year in North Carolina, and the 2007 Outstanding Service Award from Crossroads Charter High School [CMS]. In 2012, he was awarded the Young and Powerful for Obama Rising Star Award. He was recently selected into the Community Building Initiatives Leaders under 40 and Carolina STYLE Magazine‘s 25 Most Stylish.